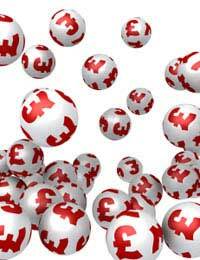 The National Lottery was introduced in 1994 and since then, more than 280,000 grants have been awarded. Grants from £300 up to £10,000 are awarded to sport, heritage and community activities and projects that go towards promoting education, health and the environment in local communities. Depending on what the project is will determine which Body you need to apply for to get a Lottery funded grant. There are currently six different bodies: Sports Council; Arts Council; Heritage Lottery Fund; Big Lottery Fund; NESTA; and Awards for All. The Community Investment Fund is the National Lottery funding available from the nine regions of Sport England (formerly Sports Council for England). There is, however, a very complex application process for this form of funding, and the final decision is made by the Sport England Board. This is mainly because of the large amount of money being given, the minimum grant being £10,000. The Urban Cultural Programme provides around £19.5 million of funding for cultural projects in 19 urban areas across the UK, including 14 in England. Projects that could be eligible for the funding are required to demonstrate how culture and the arts contribute and influence the lives of those in an urban area. Money that is raised through the national lottery is used by the Heritage Lottery Fund to help sustain our heritage, including various museums, historic places, parks and archaeology. The Big Lottery Fund is the largest Lottery distributor responsible for giving out half the money raised by the National Lottery for good causes: 14 pence of every pound spent on a Lottery ticket. These grants cover health, education, environment and charitable purposes with a focus on the difference that the funding makes to communities, as opposed to the specific organisations that receive the money. New ideas often fail due to a lack of funding. NESTA uses National Lottery funds to encourage the exploration of new idea, development of new products, or other projects that use the arts, technology and science to encourage creativity. This grant is not just available for groups or organisations, individuals can also apply for help. The funding starts from £500, and awards of more than £85,000 can be made to worthy applicants. If you have a project in mind that will bring people together to take part in community activities, then you could benefit from this fund. Specifically designed for those projects that help to improve the lives of individuals, boost creativity or encourages more people to get involved in local communities, the fund can supply anything from £300 to £10,000. Hello, I have a severely disabled son, he has autism epilepsy atrial fibrillation and a severelearning disability He lives at home with both myself and my husband. He needs constant supervision/observation. He spend most of his time in our conservatory as he likes his own space, the conservatory is just off our living room so we can keep an eye on him at all times, but allowing him to have his own space. My son is 29yo and he is 6ft 6inches tall. the conservatory is small and old and cold. Are there any grants available to add an extra room on to our living room, I have a small amount of money that i have saved to go towards the cost. Hi I'm trying to see if I can get a grant to clean up our coastline from plasticand other waste I had a shock to open up a crab to find a substantial amount of plastic . I am hopeing to get a grant to become a search and rescue and recovery, first response with cpr and O2 administrator diver,funding required would cover the cost of the training courses and a special dry suit with full face mask also cold water regulators,i am currently a qualified open water diver and wish to undertake these special courses so that i can help within the emergency services in cold water situations where speciality diving is required ,can the lottery help me in achieving this ? I Morine Barnes have depression discharged from CMHT to my GP. Rommel my son at home as Parnoid Schizophrenia Dementia. Rommel as discharged himself from CMHT. My daughter Myola is a workaholic and as a studio flat. I pay my bill planner up budget benefits off work sick with DEPRESSION ends did not meet with a job. I am single parent my childrens dad Donald and me were divorced he passed away we are bereaved. I need a grant of £2500 for cooker, carpets, settee, decorating, gardening. Hope you can help. Thanks. Morine Barnes 58. Donald 60, Myola 38 & Rommel Edwards 36 Graham 90. I was thinking of applying to the Lottery fund for the charity I run. I am looking for an expert to advise us for payment. Many years ago I applied and was horrified to find that so many of the questions seemed almost identical that I really couldn't work out what the application form wanted. However, maybe things have changed? The charity seeks to prevent unintentional carbon monoxide poisoning which costs the taxpayer £178 million a year (according to an All Party Group of MPs) yet we can't seem to make real progress in obtaining funding for prime time TV warnings and victim support. I am also surprised that only 14p in the £1 spent on tickets goes to good causes. Hi would I be able to get a grant from the lottery fund to undertake a course to get qualified in running a project which would benefit public health? It's always worth applying. Is the project a new one? Is it your idea? It's unlilkely you'd be given funding to run a course that already exists. If so it might be worth looking at alternatives like adult study bursaries etc. I would like to open a new child care centre in one of the most deprived areas in South Yorkshire. Through out the day the centre will provide excellent child care and maybe even a before and after school club. On a evening I want to open the centre up for adults to come and learn english and provide free child for those parents if required. We have EAL issues and I believe if we can educate parents/adults this will have a positive effect on the child. To do this I'm looking for support in the costs of setting up. @Maz. You could try your local council (you could try going through the fostering agency who will have close contacts with them). Alternatively, there is a range of grants on the Turn 2 uswebsite. Im not too sure if you can help me but I will do anything to try. I'm a foster mum currently to two beautiful little girls who have been with us for 8 months. Over this time space in our family home has become limited and this has also prevented other children that very much need a temporary safe home coming into our home. I also have two teenage children of my own and privacy is paramount to them. I was wondering if there was any funding of re-homing so we can continue to work with our local city council and provide a warm safe environment for the children that come into the system through no fault of their own. I don't know if we fit into a "category" for any help, but I see and read about so many benefit large family's being granted bigger homes to house all their children, and I just want to help make a difference to a child's life without being limited on space as there's no limit to the time and love that my family give to these children. I await any advise, help and reply. Thank you for your time. hi, does anyone know if i can apply for a grant. I am going to be a foster carer in january, and i am a single woman unemployed but wanting to give these children the help support and care they need. I need a grant to buy bedroom furniture and all the necessary equipment for the children. I would like to have a grant to set up a business providing advocacy to the over 50. I really think they need this service and have been working voluntary as an advocate.